According to a recent Forrester Research survey, 90% of organizations consider their network either critical or important to the success of their digital transformation. Respondents cited the need for increased resiliency, bandwidth and security as fundamental requirements. This paper reveals how to overcome the potential challenges of evolving networks to support business application delivery in hybrid/multi-cloud environments. 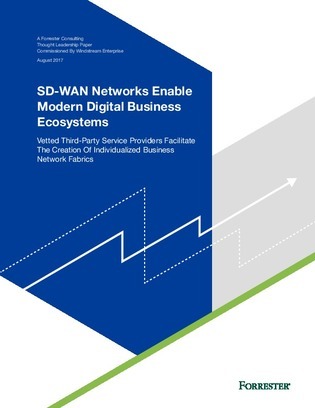 Learn how SD-WAN can help without being a huge undertaking.